To answer your question. Prime pays for a truck wash every 2 weeks. Additionally, they pay for all washout. If you go to an approved vendor they pay directly. If you go out of network they will pay you back. I also drive a lightweight for Prime as a company driver. I have never driven a full 10 1/2 - 11 hr day and logged less than 600 miles, regardless of terrain. I run recaps so I usually run 8-8.5 hours. A little over 500 miles, at 62 should be about a given. Not sure why sales would bet against that. 600-650 miles is about average for a full drive day at 62. You're an amateur radio (ham) operator aren't you? I have been one for about 25 years and never have I ran into someone who didn't work in the electronics field be able to pull those formulas out of their hat on a moment's notice unle4ss they were a ham. LOL my thoughts exactly. Nobody else can blithely spit out terms like "modified sine wave." Company Driver's Perspective for Prime Inc. I drive a lightweight for Prime. They do make financial incentives for you to choose a l/w. It's 5 cents a mile and you get raises faster and your vacation comes earlier. Plus, if you get a good truck your fuel mileage will be better. So, even though they do encourage you to get into a lightweight, they don't actually pressure you. This is oneeded of the rumors pushed by haters to try to keep ppl from choosing to go to prime. I'm not a hater! I'm just stating the impression I got during orientation based on the financial incentives and attitude. Like I said, I still have 25k miles to go to find out for myself. Honestly, I REALLY don't want one. If I get a condo with no questions or problems, I'll happily shout praises for Prime! Oh no, I didn't mean to imply you were. They do encourage it, but people sometimes say they.force it down your throat. You didn't say anything like that. When you go for upgrade they lay out what the incentives and leave the choice up to you. That's it. I'm happy with my decision, for the most part. Others are happy to have chosen a condo. It's a personal decision, just like which company you drive for. LOL the sakes person has to do push-ups in the middle of dispatches room. ...here to sleep in a bed for a couple nights and get my truck worked on. I had asked for a couple days and didn't think any more of it. Monday I delivered in Atlanta and picked up a repower to bring back to Sprimo. Hot load due in KS this morning. I was low on hours on my 70 and was sweating getting it here. Yesterday morning I had 11 1/2 hrs on my 70. I was just this side of Monteagle, with a little over 500 miles to go. In a 62 mph truck. I made it, with a little over an hour left on my 11. Went to talk to my FM this morning and he told me that sales had bet that I wouldn't make it. He said he told them I definitely would make it. It really made me feel good to know that he counts on me to get it done. That I might be heading towards being one of the top tier drivers we talk about so much. I've gotta tell you, it's been tough at times, trying to make almost impossible appt times and running through some really bad weather. But you know, that one comment made it all worth it. Got a bit of a spring in my step this morning. I can't answer as a Riehl driver, but I think if a company tried to go non-smoking, they would lose a lot of their drivers. Seems a large number of us smoke. Sue, aren't you a retired nurse? Lol we can be such hardheads sometimes. Go to an urgent care or ER and get it looked at. Ankles are very complex and long term injuries can seem mild at first but can end up crippling you later. I think you are being given the average, actual miles can, and do, vary. When I first started solo I had a 2900 mile week and it was tough! There is so much more to this than just getting behind the wheel and going. Especially for a noob. There is so much planning and extraneous junk that goes along with this it can be very overwhelming. As OS said, top performers can exceed those quoted miles, but it takes grit and a whole lot of learning to get there. Just be determined to do better every load and to learn from your mistakes and you can be in the top tier. Adam, your story sounds similar to mine. Every time I tried to back the truck he would stand outside and yell directions at me. Then he would get frustrated and do it himself. I was never confident at truck stops or shippers/receivers and would ask him where to go. And I would get yelled at about that. One time he woke me up for my turn driving and got Nad because I didn't just know how to get out of the truck stop we were in. He used to wake up in the morning while I was driving and slam all the cabinet doors several times. And I mean SLAM them. Somehow I made it through and have been solo for a little over 3 months. Funny thing is, I felt, from that first time out of outbound, so much more relaxed. There was no angry trainer waiting for me to make a,mistake. And I have made plenty! Heck, tonight it took me 15 minutes to straight back into a wide open spot at a truck stop. But I did it, even with a bunch of guys laughing at me. I got out of the truckids, went out in front of it, and took a big bow! A couple of the guys applauded. My point is that this profession has a very steep learning curve, and it can be very frustrating. Take Rainy's advice and call Brooke. You'll get another trainer and finish up your miles. And, no matter what anybody says, if you get the truck in the hole and don't hit anything it's a good back! 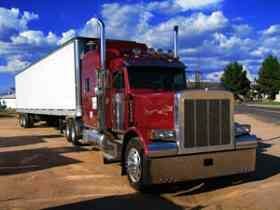 Is There A Future For New CDL Drivers? I've Heard Soon Robots Will Replace Us All. To add to what Patrick said. I worked for McDonnell Douglas in the early 90s, delivering MD-11s to customers. Those airplanes could take themselves from pushback at the gate to taxi into the gate at their destination. They could completely fly themselves. They still had to have a fully trained and qualified crew to be on board and at the controls at all times. There is a very good reason not to fully trust machines, and we don't. And autonomous trucks are a long way from being road ready, as anyone who has had their collision avoidance system slam on the brakes because of someone in the development lane,slowing down can tell you. Some info on Prime flatbed. They have about 300 trucks so it is a small community within the company. And skateboarders are kinda that way anyway. Bunch of very helpful people if you ask me. But you get the advantages of a big company along with the feel of a small community. I've talked to some prime l/o s that drive at 58 all the time. Their trucks are governed at 65 so it makes no sense to me, unless they're worried about fuel mileage. I like to run at 60, gives me 2 mph when I need to pass somebody doing 59. I drive a lightweight and have had 1 load under 39k in the past month. Most I've pulled was 46k of limestone. Gross was 78.8k. Was interesting pulling that out of ct and through pa on I80. I have been working for about 47 years. I have done a lot of different things, from fixing airplanes to running a printing press to nursing. And I will tell you, based on those experiences, that we don't have it bad at all. Could pay be better? You bet! But, you know what? My take home is comparable to what I made as a 20 year ICU nurse, saving people's lives on a daily basis. I don't even know how to answer the respect thing. I work for the same company as Rainy and several others. When I'm at the home terminal, I can go play basketball with the CEO. I can also walk into his office anytime he's in there. The door is open. And people know me. I've been solo for 2 1/2 months and when I call dispatch, even the night and weekend people know me. We work for businesses. They are I'm business to make money, not bow and scrape to us. What we do is performance based. Piece,work it's called. When I worked for an aircraft manufacturer, in a union shop, I wished it was that way. I made less than the guys who had been there longer, even though I busted my tail and they held their toolboxes down. I even got in trouble with the union for working too hard. Made others look bad. Maybe that's what you want, money for nothing. Not me, I like earning my keep! I ain't about to take no pictures of some dude with no shirt on. Any c'mon CWC where's your sense of adventure? I'm currently looking for a place to hurl myself from a perfectly good airplane while on my coming vacation. I used to jump in Perris CA. Also central Florida has some good places. Where are you going to vacation?